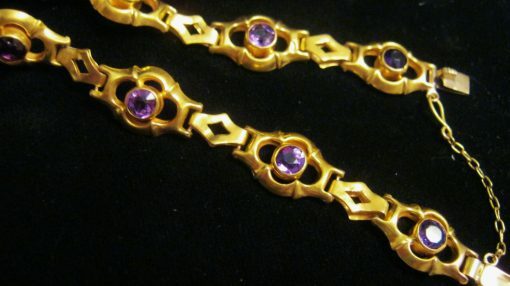 A Beautiful Antique 9ct Gold Amethyst Set Bracelet In fine condition!. 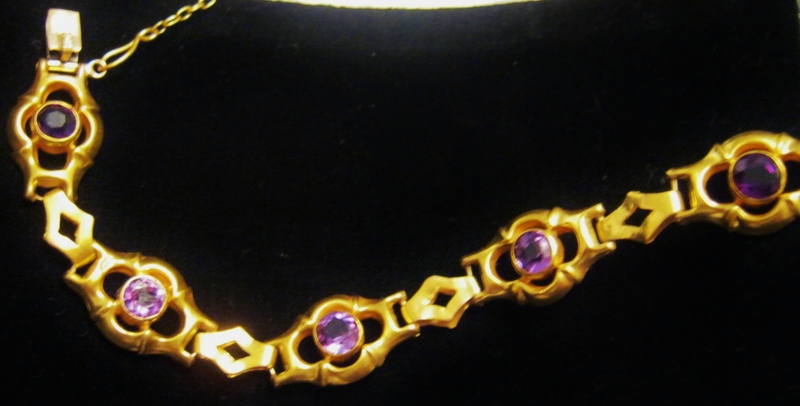 With beautiful Amethyst gemstones , bezel mounted & in fine order throughout. 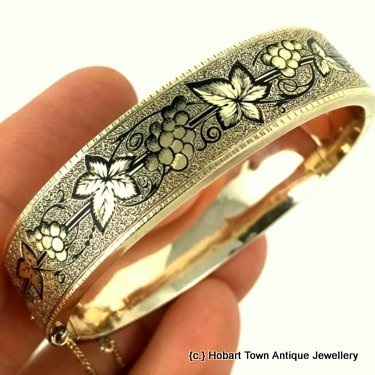 Dating to the early 20thC this is an attractive antique gold bracelet for both day or night wear. 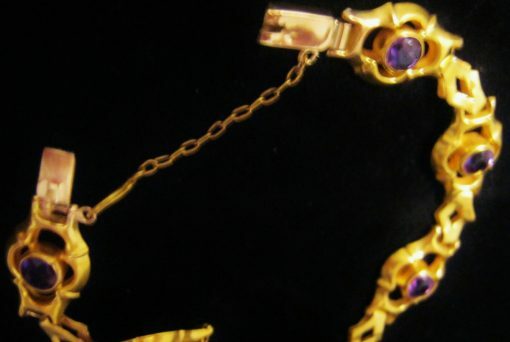 Regarded as a ‘positive energy stone’ , this beautiful antique 9ct gold amethyst set bracelet looks beautiful on a woman’s wrist. 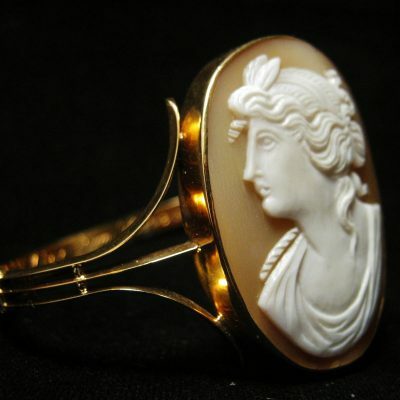 Not being a heavy piece , this is an Ideal piece to wear during the day or evening ~~ certain to impress in any setting and on any occasion!. 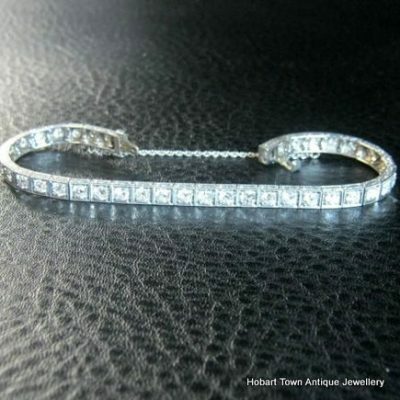 In fine condition , with the safety chain firmly intact. This antique 9ct gold Amethyst set bracelet Is ready to gift to that special lady in your Life or for the deserving lady to ‘gift to herself ‘ ………. either way , whomever ends up wearing this beautiful antique 9ct gold amethyst set bracelet ~ will be a very happy lady. If you have any questions regarding this antique amethyst bracelet please email.